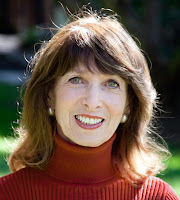 Today we are delighted to welcome Dr. Ilene Val-Essen to our Virtual Book Tour. She is a parent educator and the author of Bring Out the Best in Your Child and Your Self. In three easy steps, Ilene teaches parents how to prevent and solve problems with mutual respect. Why don't you read on and see for yourself? Nourishing Relationships: What is the purpose of the book? Ilene Val-Essen: Bring Out the Best in Your Child and Yourself helps parents create a family environment based on mutual respect. As we bring out the best in each child, we inevitably discover the best within ourselves. N R: Why did you write the book? Ilene: As a parenting instructor I discovered that attitudes are even more important than the effective communication skills that most parenting books focus on. I wanted to help parents recognize those attitudes that bring out the best in their children and those that invite resistance and rebellion. Most importantly, I knew that family life could be so much easier and I wanted to help parents shift their attitudes so that they could enjoy a family based on mutual respect. N R: What makes the book unique? Ilene: One aspect of the book’s uniqueness is the deep respect it models for our children’s yearning to be their best. The book accepts that this drive for growth is a core part of our children’s very being, a part of their nature. While the book acknowledges this spiritual component, it offers practical, proven techniques to encourage cooperation, independent and responsible behavior. Another aspect is how the book views difficult behavior—our children’s and our own. This challenging behavior is viewed as a cry for help: an ineffective attempt to meet a legitimate need. As parents learn to meet their needs, they’re better prepared to help their children meet theirs. N R: The book is organized around a 3-Step Process. What is it? Ilene: The Three-Step Process offers parents a system they can rely on to solve and prevent problems with mutual respect. The first step helps us recognize when we’re “off center”—stressed, upset, overwhelmed or angry. When we’re not at our best, it’s tough on our kids. We can’t help a child, teen or grandchild become calm and centered until we’re there ourselves. Step two helps us let go of stress, to step back and become calm. The final step helps us to become centered: to adopt the attitudes and model the effective skills of mutual respect. N R: What do you mean when you tell parents to “water the flowers, not the weeds”? Ilene: It sounds quite silly to imagine watering the weeds in our gardens, when it’s the flowers that we want to grow. Too often, we give our children attention for behavior we want to discourage, rather than acknowledging the behaviors that we want to encourage. What we feed naturally grows! N R: For what age child would this book be most helpful and what will women gain by reading it? Ilene: Whether parenting toddlers, children or teens, the book promises that family life can be so much easier. Thanks so much, Ilene, for introducing us to your unique approach. Readers, whether you're concerned your kids or helping out with your grandkids, click here for more information about Bring Out the Best in Your Child and Your Self, Ilene and the work she does. We’re also grateful to all who have dropped by - and now it's your turn. If you have questions for Ilene or want to share your ideas, please click on "Comments" at the bottom right-hand corner of this post. Just follow the prompts - we want to hear from you! It's never been easy for members of the sandwich generation, faced with the challenges of caring for aging parents and growing kids. And in today's world, family pressures are often compounded by job loss, economic concerns or workplace stress. Tomorrow at Noon EDT (9am PDT) listen to Blog Talk Radio - scroll down to Upcoming Episode, "Nourishing your Family Relationships without Starving Yourself" to read more about it. As guests of Dr. Sandra Haymon, we'll be answering questions and providing tips for caregivers. And log on here anytime this Wednesday, October 27, for our Virtual Book Tour with parent educator, Dr. Ilene Val-Essen. She'll be talking about her recently published book, Bring Out the BEST in Your Child and Your Self. Be sure to click on "Comments" at the end of that post to ask Ilene your parenting questions. In the meantime, you can go to her website BringOutTheBest to learn more about her book and classes. Here's a quick tip about quality time with family: If you're overworked, overscheduled and frantic for time to enjoy family, why not start a weekly tradition? Schedule time together a couple of hours on the weekend. Take turns planning dinner out, a walk in the park or movie night. You'll see how this helps everyone feel more cared for and you'll feel less guilty about how busy you are all week. Want to read about how kids can cope better with inevitable stress? And for nurturing yourself, our article, How to Nourish the Sandwich that is You, may be just what you need. And while you're on our website, Her Mentor Center, browse around the home page menu - in the Newsletter Library, Family Relationships and Video Library, there's lots of material with practical tips for you and your family. And you'll also find information about our free newsletter, Stepping Stones, and ebooks, Courage and Lessons Learned: Reaching Your Goals and Taking Control of Stress in a Financial Storm: Practical Strategies and Resources for Success. As you recognize from all the pink ribbons around, October is National Breast Cancer Awareness month. Yet soon the month will be over and done - just as breast cancer can be diagnosed and treated. Between 2 and 3 million American women today have survived this health challenge and are living cancer-free. But thriving after any serious illness is complicated and sometimes feels like an uphill struggle. Today's coping tips can help you support yourself - emotionally and physically - along the difficult course of dealing with breast cancer and its treatments. As women move through this process, many find that staying informed and involved at each step gives them a sense of power and resiliency. The National Cancer Institute, a part of NIH, has a wide range of materials to make this job easier. Here are some more tips from us to help you take charge of your life. Take good care of yourself. Pamper yourself - you deserve it! Follow the guidelines of the American Cancer Society and set aside time for you. Begin an exercise program that includes aerobics, flexibility and strengthening exercises. Enjoy eating a more healthful diet rich in fruits and vegetables. Schedule relaxation time to decrease the stresses in your life. Learn visualization techniques. Think about what you really like to do and do it. Of course this is easier to say than it may be to do, but stick with your decision to make time for yourself. You can make it happen. Redirect yourself toward active goal setting. When a serious illness strikes, you may feel like your life is completely out of control. To regain a sense of direction, reflect on what priorities are important to you and then set a goal within your reach. Identify your strengths and build on them as you plan how to achieve your objectives. Journaling may be helpful as you consider strategies and options. Initiate your plan in small steps and review your progress regularly. Make something positive come out of the situation. Women who are able to find some positive meaning in such a negative situation often experience growth as well as a greater sense of control and feelings of confidence and optimism. Think about how you can use the unique perspective you have gained to make the rest of your life richer and more meaningful. Nancy G. Brinker supported her sister Susan in her unsuccessful fight against breast cancer and later founded Susan G. Komen for the Cure. It has become the world's largest grassroots network of breast cancer survivors and activists and the largest source of nonprofit funds dedicated to winning the fight Susan ultimately lost. Take credit for the challenge you have faced and the changes you are making. Recognize and accept that you have faced many difficulties in your process of healing. Give yourself credit for the hard work you have completed to get to this point in your recovery. You have learned about yourself and made changes in the way you think, feel, act and react to yourself, others and the situation around you. You can read one woman's story about her experiences with breast cancer on our website in an early newsletter. Feel free to browse around and read other archived newsletters that interest you. Then sign up to receive your own copy of our free monthly newsletter in its new format, Stepping Stones, emailed directly to you. When you do, you'll receive a complimentary copy of our ebook, Courage and Lessons Learned. Worldwide, every year over 1 million women are diagnosed with breast cancer. Other than skin cancer, breast cancer is the most common one facing American women today. The likelihood is that 1 in 8 women in America will cope with this disease during her lifetime. In October, designated as National Breast Cancer Awareness Month, women are especially focused on early detection and improving the management of breast cancer, should it be diagnosed. With mammography, MRI and physical exams leading to early detection, most breast cancers can be successfully treated today. The specific treatment can be worked out between you and your physicians, taking into account the tumor details. This year, an online word of mouth campaign, Until Every Woman Knows, has been started to raise awareness of a test that can help guide these treatment decisions. With improved therapies, there are between 2 and 3 million American women living today who have survived breast cancer. As breast cancer survivors have learned, coping with any serious illness can take a toll on you - emotionally as well as physically. Here are some tips to help manage your recovery so that you can move forward with your life. Accept your changing emotions as normal and give yourself permission to express them. After a brush with cancer, it is normal to feel many different emotions such as anger, fear, worry, anxiety, depression, stress or loss of control. It's OK to express these to people you trust and acknowledge them to yourself. Only then can you begin to cope with them. For some ideas about how to develop better communication with a loved one when a serious illness like cancer intrudes, see an article on our website, Boomer Couples: Deepening Your Conversations about Serious Illness. Recognize the changes in your body. You may feel that your body has betrayed you, leaving you feeling vulnerable and with a loss of innocence about your own invincibility. You will need to grieve this loss. In addition, you may be experiencing side effects of the treatment such as fatigue, stiffness, lymphedema, weight gain, as well as menopausal symptoms. Once you clarify for yourself how your body is reacting, you can address each of the symptoms in your efforts to alleviate them. Draw upon others for support. Your family and friends can provide a network of comfort, encouragement and assistance. You may also want to join a breast cancer support group, either in person or on-line. Support is helpful in several ways - it gives you someone to listen to you when you need to express yourself, someone to give you information and feedback, someone to help you with practical matters such as an errand that needs to be done. Support will be there for you if you look for it. It may feel awkward at first to ask for help, but you'll find friends want to do what they can for you. You'll find more about the value of support on our website, Her Mentor Center. So don't let anything get in the way of becoming aware of breast cancer and taking care of yourself if you need to deal with it. Join us again on Wednesday when we'll be offering more advice about living with a diagnosis of breast cancer. And for inspirational stories and tips about coping with significant stress, sign up for our newsletter, Stepping Stones, and receive a complimentary copy of our ebook, Courage and Lessons Learned. 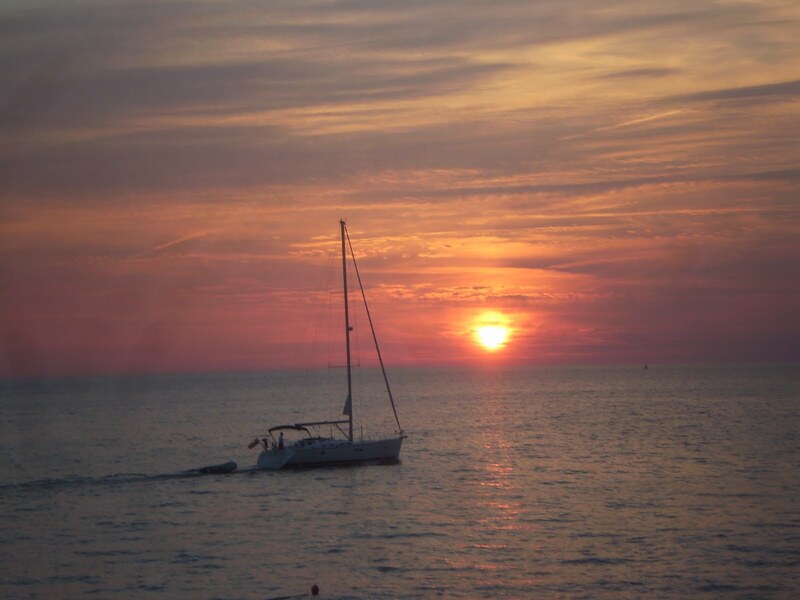 Here are more photos of the magic of Croatia. And then it's your turn. 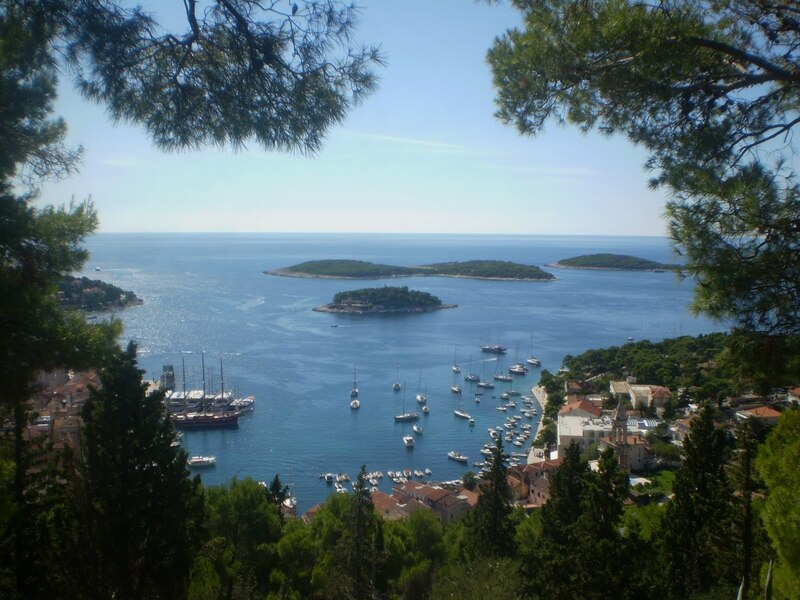 It's an easy drive down the coast, from Zagreb to Dubrovnic, stopping in seaside villages along the way. Cobblestone streets and bougainvilleas enhance the charm while colorful markets and street performers add to the enchantment. Then there's the majesty of the Adriatic Sea, dotted with inlets and islands. 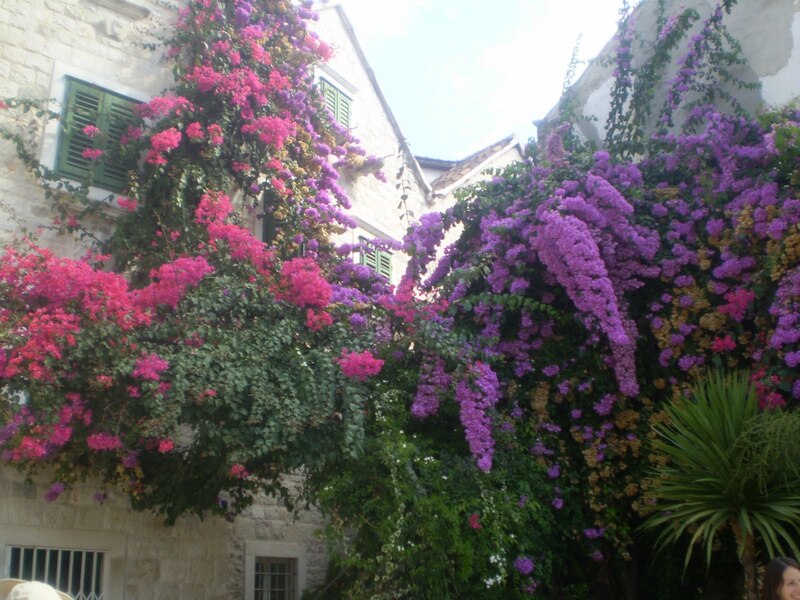 Read here about the natural beauty of Hvar, often called the queen of the Dalmatian islands. 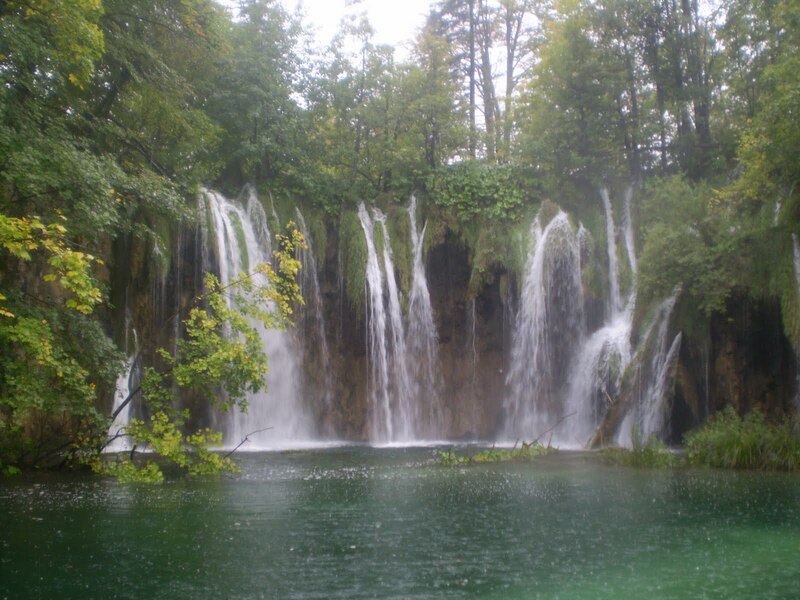 Although inland, but not to be missed, is Plitvice National Park, a UNESCO world heritage site, with 16 lakes and breathtaking waterfalls. 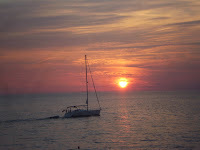 Poshnosh.com has ideas and descriptions of trips for women with a passion for travel. You'll find lots of specialty tours, including those with grandchildren. Whereas hermail.net is an international directory of women travelers. It provides a free e-mail based service that allows women anywhere in the world to connect with others who love to travel. And fodors.com has information when you're ready to take steps toward actually planning a trip. Enjoy exploring the travel websites. If you want help getting started, sign the email list to the left of this post and download our complimentary ebook, "Courage and Lessons Learned: Reaching for Your Goals." 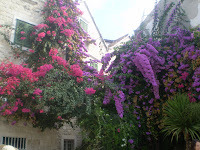 I've just returned from a trip to Croatia and want to savor the experience, so I'll be sharing some of my photos and impressions with you this week. We would like you to click on 'Comments' at the bottom of this post and tell us your travel stories as well. Croatia is a small country, not even as large as the state of West Virginia. And it is very homogeneous, with close to 90% of its four and one half million people identified as Croatian and Roman Catholic. Interested in a little history? 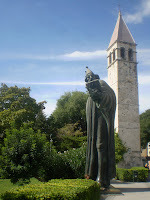 Although Croatia declared its independence from Yugoslavia in 1991, it took four years of sporadic, but often bitter, fighting before occupying Serb armies left Croatian lands. Under UN supervision, the last Serb-held enclave in eastern Slavonia was returned to Croatia in 1998. 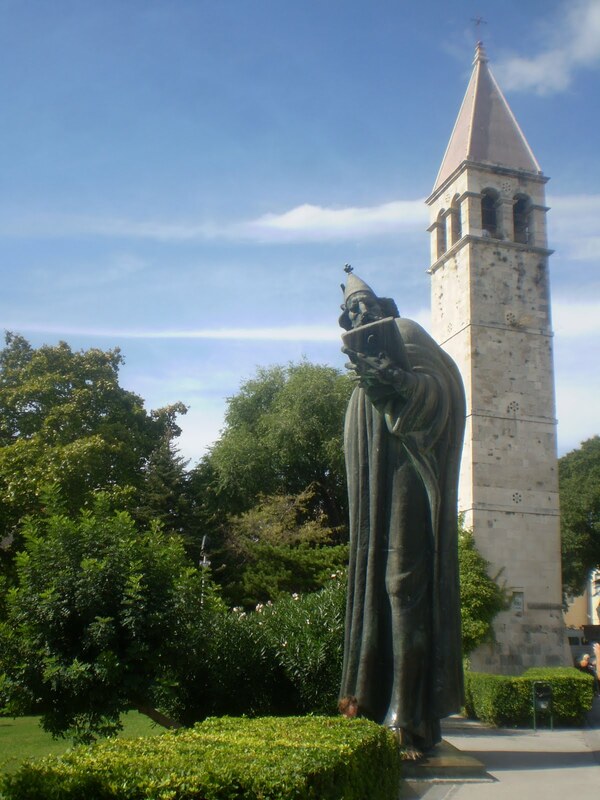 In April 2009, Croatia joined NATO and it is now a candidate for eventual EU accession. It's the kind of country I love to visit, where the scenery, culture and history are so different from what I know and the sights are a wakeup call to the senses. The country's history is traced through its museums, ruins, architecture and sculptures. 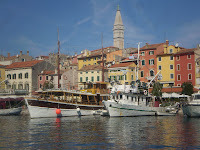 And its picturesque charm is reflected in the multitude of islands and fishing villages that border the Adriatic Sea. 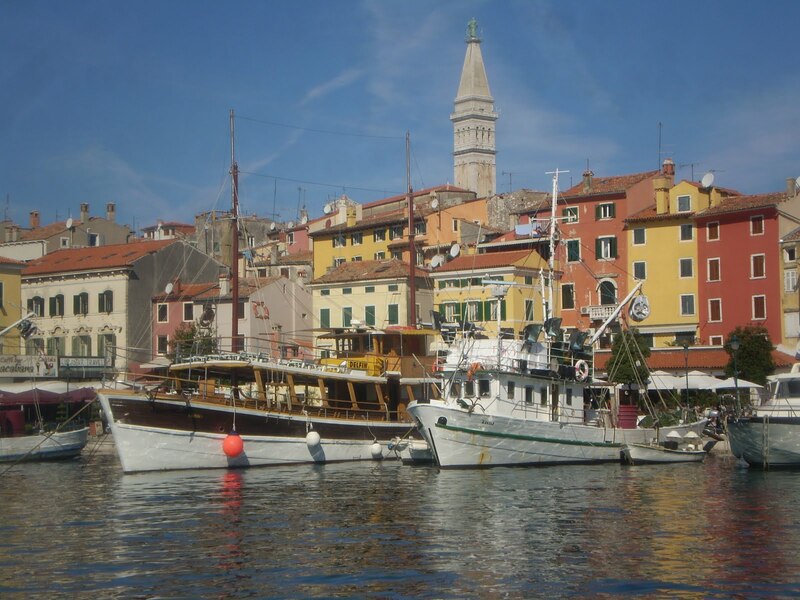 Do you want to know more about the captivating country of Croatia? Here's what wikipedia.org has to say. 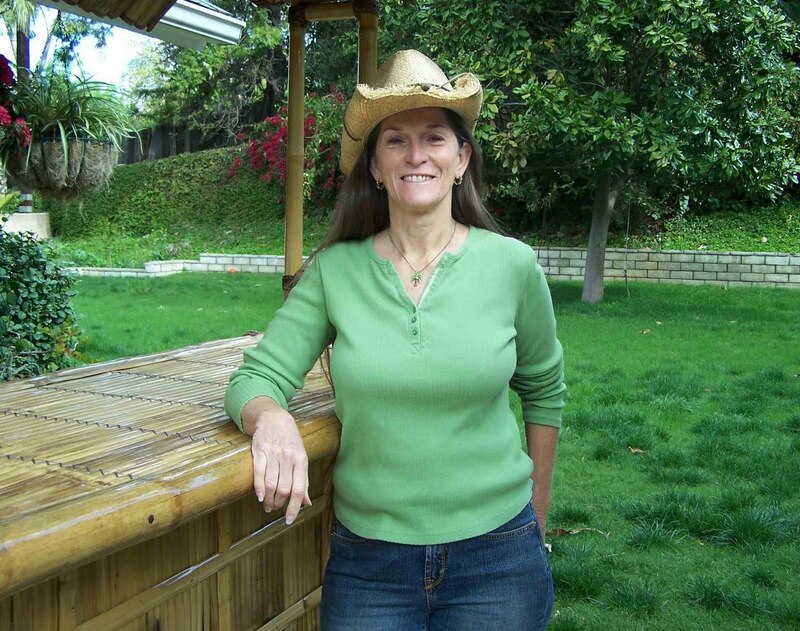 And if you're thinking about a trip yourself, you can read one woman's story of adventure in the Newsletter Library of our website, HerMentorCenter.com. For some excellent support in the plannning stage, JourneyWoman.com is a valuable resource. It publishes an online newsletter, connecting women around the globe. 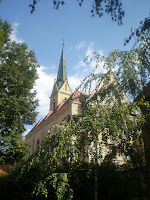 And the site presents women's travel stories and offers information about tours, shopping and restaurants. Travel writer, Rick Steves, is also a great source of insight and tips. Although "Obamacare" is now the law of the land for Americans, controversy still surrounds it. Candidates in November's elections have widely conflicting views about its value. Next to jobs as the most import issue in races this year, the new healthcare law is determining the voting patterns of many citizens throughout the country. The uncertainties arising from which party will control the House and Senate in 2011 may leave you in a quandary about your own healthcare strategy. What can you do in the meantime? Decide on a personal health plan to improve your wellness every day. Our YouTube video for today includes the final two of ten tips for increasing self-fullness. Feel free to begin with any of the tips you like - there's no deductible or co-pay involved. As you decide to take better care of yourself, you will discover the strength to find balance in your life. Develop a firm core - it will sustain you as you continue to nurture your growing and changing family. The short video, Your Personal Health Plan: 10 Tips for Self-fullness, provides some ideas about how to give yourself the gift of laughter. You'll have more fun and studies have found that a positive mood creates the atmosphere for better decision-making. And the video reminds you, it's healthy to receive as well as give. So accept the help, gratitude and love that others offer. Are you a Sandwiched Boomer, with demands being made by your children and parents simultaneously? For some help in taking better care of yourself, our article, How to Nourish the Sandwich That is You may be just what you need to get started. Take a few minutes to browse around our website, Her Mentor Center where you'll find other articles with practical tips for nurturing yourself, resources, Stepping Stones, and information about how to receive our ebooks. You can use the comment link below to let us know what you think and how you're doing. And feel free to participate in the polling questions to the left of this post. They change with each visit and give you the chance to have your opinions heard and tallied. To your continuing good health! I bet you're not surprised: Study after study has confirmed what most women already know - friendships are good for your health. The Nurses Health Study found that the greater the number of friends in your social network, the more healthful and joyful a life you lead. The MacArthur Foundation concluded that social support helps women cope with difficult times. Shelley Taylor and her colleagues at UCLA determined that befriending other women helps women live longer and more satisfying lives. So when you're setting up your personal health plan, be sure to set aside time to spend with your friends. They'll help you cope with daily hassles and with more serious hardships. Consider nurturing your friendships like a form of preventative medicine - and you don't even need a prescription. Isn't an afternoon with friends more fun than a trip to the doctor, easier to swallow than pills and not hurtful like a shot? So set a date and put it on your appointment calendar - you'll feel better when you do. 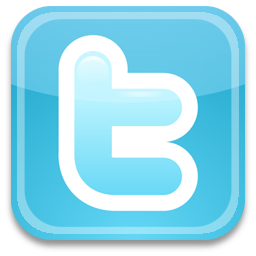 Our short YouTube video, Your Personal Health Plan Relies on Your Social Network gives you some tips to begin. Share ideas and reach out for emotional and practical support as you cope with the ups and downs of a family-in-flux. Friendships can be a potent antidote to the toxins of stress. Sandwiched Boomers often try to live up to extremely high expectations - yours or others. Instead, draft a set of realistic, reasonable, achievable standards. You'll feel less stressed when you do. Another of our YouTube videos, Your Personal Health Plan Sets Reasonable Standards, gives you tips about setting up attainable goals as part of your personal health and wellness plan. You'll learn about letting go of guilt, accepting yourself for who you are and asking for help when you need it. Want to learn more about the importance of friendships in supporting you? 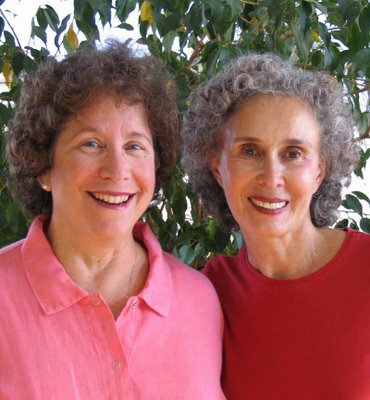 Boomer Women and Friendship: The Gift You Give Yourself will give you some good background. It's on our website, Her Mentor Center with other helpful articles. The Association of American Medical Colleges reported last week that the shortage of physicians is expected to worsen due to the U.S. healthcare reform plan that became law last spring. Their Center for Workforce Studies released a projection that shortages will be 50% worse than estimated earlier. Rather than lacking 39,600 doctors by 2015, the United States will actually be short 63,000 physicians, given the extra patients entering the system. With fewer doctors available, you will need to make some changes in the way you take care of yourself. Now is the time to develop your own personal health plan to help deal with the challenges you face everyday in nourishing yourself and your family-in-flux. All this week you'll find links here to our YouTube videos giving you suggestions for improving your coping skills and your health - mental and physical. Try them out and let us know what works for you as you create your own care plan. No matter what challenges you face in your career and at home with children growing up and parents growing older, it's not selfish to set aside time for a taste of healthy self-fullness. Check out our short, YouTube video, Your Personal Health Plan Begins with a Change, to help you cope with the challenges you are facing. In this video, you'll learn the importance of releasing negativity, a common response, and replacing it with a positive attitude. Developing resiliency and expressing gratitude can be powerful tools. With the economy continuing to stall and family responsibilities growing, your stress levels may be climbing, especially if you are a Sandwiched Boomer. Vow to put your feet up and think about yourself for once. What brings you happiness? What relieves the stress you face every day? What will bring balance to your life? A second YouTube video segment gives you some tips on how Your Personal Health Plan Reduces Your Stress. In this video, you'll find tips for taking time for yourself and creating personal stress relievers. It's always hard to get started in making a change, even one that will help you take better care of yourself. If you want to give yourself a jump-start, click here to read Sandwiched Boomers: 7 Tips on Fighting Inertia which you can find on our website, Her Mentor Center. We began this week with a look at what it takes to make a career change and how your passions, skills and resources can help you succeed as you work through the process. In this economy, where job losses are especially prevalent, it's wise to give some thought to planning for modifications in how you spend your day. You may want to sign up for classes from community colleges to help with a career change. One reader, Annette, wanted to know more about how Teresa went about making her career changes. She commented: "I am in awe of your courage in starting new careers. I would like to go back to school but I'm afraid to quit my job and start all over from scratch. How much did you have to plan ahead so you'd have enough money to support yourself after your career change?" Teresa had some practical advice for her: "I did a little financial planning for my career changes, but mostly I just remembered what it was like when I first started attending college. I didn't have anything then and I made it through. And each time it just got better. I've never been one to have a lot of debt other than school loans, and I didn't have any of those until I went to law school. I always knew I could find some kind of work if I had to, so I just dove in. I realize I took some chances but I had to in order to follow my dreams. I do have to admit, the older I get the more planning I do for a career change." Another reader confessed that she was concerned about her internal motivation to stay on track. Suzanne commented: "I like the idea of working for myself - like you've done as a writer. But I'm afraid I wouldn't have the energy to keep going without someone (like my boss) pushing me. How do you get yourself to stick to your job on your own?" Teresa shared some of her philosophy about taking responsibility for herself and her career: "Suzanne, keeping on task can be one of the hardest things to do when someone isn't standing watch. Many businesses fail for that very reason. This is a business, just like any other. If you take that approach, things will get done. If you look at it as a hobby, that's all it will ever be. For the most part, you have to schedule it into your day or your week and then stick to it." One would-be author asked about how to move forward with her manuscript: "I've been working on a book too - a novel, not a mystery. This is all brand new for me. When I finish writing, how do I get it published? How did you decide on your publisher?" In response, Teresa gave her some of the inside scoop about publishing: "Getting published can be a real nightmare. I've heard some horror stories from many authors, some well known, others not. I didn't have the typical experience. I went to a writer's conference, submitted twenty pages to a publisher, and she asked for my manuscript. My second book was picked up by another publisher who approached me. I think that was because my first book was doing well and they saw how much effort I put into the marketing process. When your book is finished the first thing you have to do is learn how to write a clean query letter and a great synopsis. Both of those things can be done at a writer's conference. And then you start the search for an agent or a publisher. Most of that can be done online or you can attend a conference and submit some of your work. There are a number of writer's conferences that give you that opportunity. 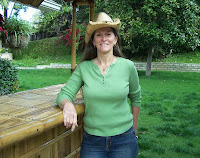 Here locally we have the Southern California Writer's Conference which I attended and would highly recommend for both the learning process and for making connections. Just make sure you approach the process knowing there is a lot of rejection in this business and at the same time keep a positive attitude." Our thanks, again, to Teresa Burrell for her candor and advice. 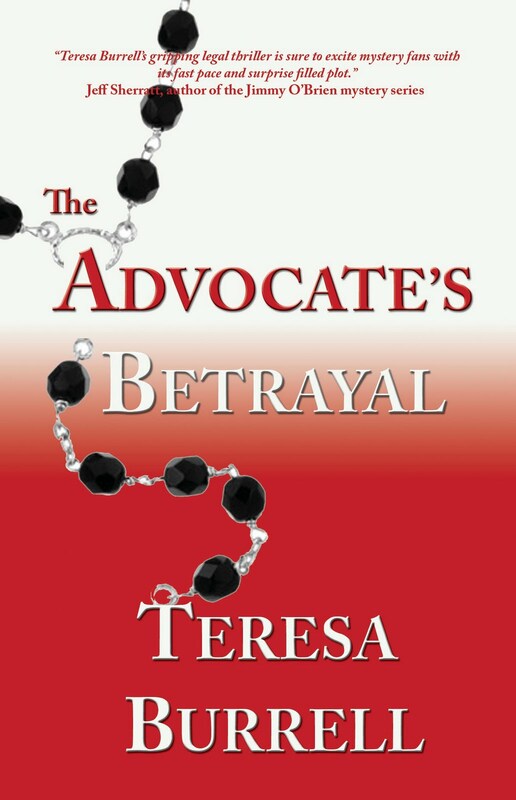 You can learn more about her book, The Advocate's Betrayal, on her website.